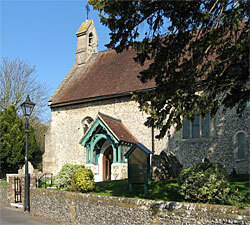 fusion - "Light Music for Dark Evenings"
St Thomas, Bedhampton, dating back as far as 1123AD, was the venue for an evening concert by fusion. Featuring flute, guitar, double bass and fleeting appearances by clarinet, banjo, piano and harpsichord. Loved the music and the arrangements. It all sounded fantastic. fusion has an amazing sound!